BritMums Live is in just TWO DAYS - wow! - so I thought I would share with you a little bit about my rather lovely sponsors. As you may have read, I am on a bit of a health overhaul at the moment. I've had enough of being stuck in the same routine when it comes to food and fitness and have been researching and trying lots of new things to help me change my attitude and my habits. 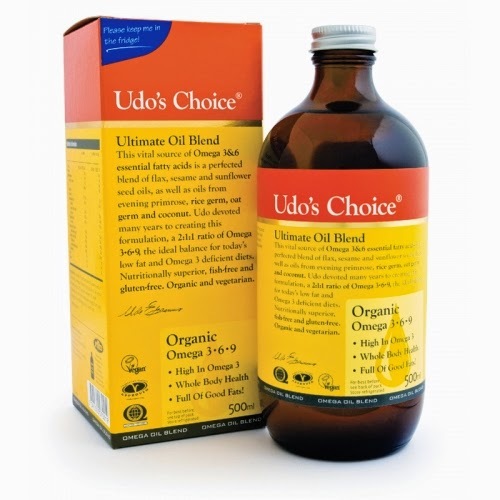 The first step I took was to start adding Udo's Choice Ultimate Blend Oil to my daily diet. It's a daily supplement packed full of Essential Fatty Acids which you add to your food to help give you the boost you need on the inside for healthy skin, hair and nails. I first heard about Udo's Choice from a great lifestyle blog a friend of mine is co-founder of - www.iamintothis.com - within a natural health and beauty supplement post - and after I took the six week challenge (read about how I got on here) I have kept it up. This unique blend contains omega 3 and 6 and the essential fatty acid 9 with a ratio of 2:1:1. It is made from natural, organic flaxseed, sunflower seed, sesame seed and coconut oil, as well as plant extracts to help keep skin moisturised and healthy. The Essential Fatty Acids in Ultimate Oil Blend are required by the skin’s cells to help them retain moisture and prevent inflammation. Ensuring you have enough Essential Fatty Acids in your diet will give a glow to your skin, lustre to your hair and strength to your nails, according to Udo Erasmus, a world renowned expert on omega oils and author of the book Fats that Heal and Fats that Kill. 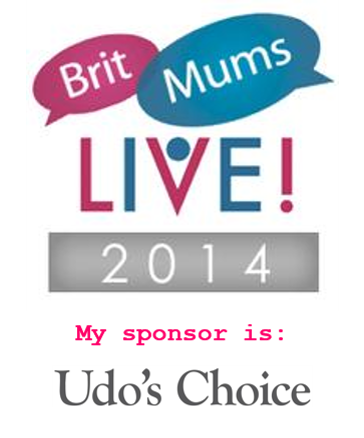 I am very grateful to Udo's Choice for being my BritMums Live sponsor and the more I read about their products, the more interested and excited I become. There's also a range of Udo's Choice Microbiotics which provide good bacteria for the gut, with a different type suited to each member of the family, from newborns to grandparents. I'm really interested in this and will be sharing more on their Infant's Blend Microbiotic tomorrow, plus I have an exciting competition launching this Friday, so stay tuned!